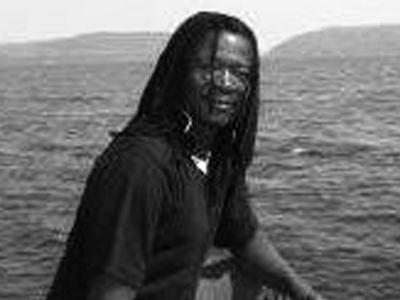 Lloyd Mujuru 39 based in a small mining City of Kadoma. Self-taught theatre artist and director of Berina Community Arts. Attended and studied a number of workshops and courses which include Certificate in Arts Management, Certificate of Competency in Theater for Social Change and trainings in Engagement Interactive Forum Theater. Since 1993 have been a theatre performer.Inspired by Savanna Trust to start using interactive theatre which includes Theater for Development and Forum Theatre. Facilitates dialogue in communities between residents and local authorities. I have worked in different districts in Zimbabwe doing interactive theatre. Really want to leave a mark in my community using my creative abilities. Motivated by the desire to see change happening in the communities through theatre performance. I also want to further develop my performance skills which include developing my personal resources and techniques. This include using my body and voice, interpretation, expression and how to engage different types of audiences and to clearly present messages .I like to think about and talk about performances and to be able to develop concepts for interactive theatre performances.I like the dynamics of theatre changing from moment to moment as performers interactive with one another and the audience.